Unplanned doesn’t so much argue as show. “Abortion” becomes, accordingly, not an abstract issue, but an in-your-face, real, and bloody fact. The legal protocols now in effect in New York, Delaware, and a number of other states allowing for the butchering of a child in the womb at any point in his or her nine-month gestation—and indeed, on the clinic or hospital table, should the child by some miracle survive the abortion—have sickened much of the country. And they have allowed people to see, in unmistakably clear terms, the full implications of the twisted “pro-choice” ideology. If a mother chooses to bring her baby to term and to be born, that child is, somehow by that choice, the subject of dignity and worthy of the full protection of the law; and if a mother chooses otherwise, even a newborn baby struggling to breathe on an operating table can be murdered and discarded like so much garbage. Biology and metaphysics be damned: our subjective decisions determine reality—and the result is state-sanctioned infanticide. So obviously insane, so clearly dangerous, so unmistakably wicked are these laws that they are causing many people to reconsider their position on abortion. 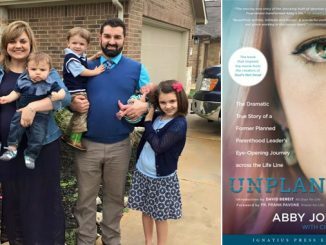 Unplanned, the story of Abby Johnson’s wrenching transition from director of a Planned Parenthood clinic to vocal opponent of abortion, has proven to be a surprisingly popular film, despite its rather grim theme and despite considerable institutional opposition. As many have pointed out, Mrs. Johnson is playing a role analogous to that played by Harriet Beecher Stowe in the nineteenth century. While there were plenty of arguments on both sides of the slavery debate at the time, many advocates of slavery underwent a conversion to abolitionism, not because of rational demonstrations but precisely through the influence of Stowe’s vivid presentation of the concrete reality of slavery in Uncle Tom’s Cabin. So today, arguments and slogans on both sides of the abortion controversy are well known, and most people seem more or less locked in their respective camps. But Unplanned doesn’t so much argue as show. “Abortion” becomes, accordingly, not an abstract issue, but an in-your-face, real, and bloody fact. The film opens with the event that proved decisive for Abby Johnson herself. As director and administrator of a Planned Parenthood clinic, she was certainly aware of what was happening on the premises, but she had rarely been involved in an actual abortion. One afternoon, she was summoned to the operating room and asked to hold the device that allowed the doctor to see the ultrasound image of the child in the womb. As the physician went about his work, Abby could clearly see the child resting comfortably and then reacting violently as a suctioning device was inserted into the womb. To her horror, she then saw a tiny arm sucked off, only to reappear, moments later, as a bloody soup in a catheter next to her. As she watched, unable to take her eyes off of the horrific display, she saw the severely wounded baby continuing to evade the device, until a leg disappeared, then another arm, and finally the baby’s head. And again, the remains of the living child surged like slush into the catheter. With that, she ran from the room, vomited in the bathroom, and resolved to dissociate herself forever from Planned Parenthood. The film makes clear that she had heard arguments against abortion all of her life, for her parents and husband were ardently and vocally pro-life, but she made the decision after she saw what it meant to end the life of an unborn child. Her hope, obviously, is that her film will have a similar effect on many others. One of the most memorable scenes in Unplanned deals with an odd little party that took place at the clinic after hours. Abby, it turns out, was pregnant, and her colleagues, all female, gathered to give her a baby shower. Out came the balloons, the thoughtful presents, the encouraging hugs—all meant to show their joy at the birth of a new baby. But then we realize that these medical professionals, these good friends of Abby, have spent their entire day killing the babies of other women. Indeed, the blood of those procedures is on their shoes and scrubs. How is this scene possible? The condition for its possibility is the lunatic ideology of “choice” referenced above: if the baby is desired, let’s have a party; if the baby is unwanted, kill him and cast his remains in a dumpster. Pro-choice advocates must know that this is the implication of their philosophy, but Unplanned makes them see it. I think you’re bang on, BRB. Abortion is the greatest evil I know of just by the fact that half the world doesn’t see it as the killing it is. Not a huge fan of this genre of movie but I think I’ll check it out. And worse, still, beyond abortion, the next generation of insanity is already in place with the oxymoron gay “marriage,” coupled with gender theory. The author of the 2015 Obergefell v. Hodges (5-4)fatwa was even a Catholic (Supreme Court Justice Anthony Kennedy). And, looking back to 19th-century slavery as this relates to 21st-century abortion, the author of the 1857 Dred Scott decision was another Catholic (the ailing Supreme Court Justice Roger Brook Taney). A exploitably intricate and blundering case, like today. Whittaker Chambers got it exactly right that bureaucracy is a giant machine operated by pygmies. And, now, within the Church itself, the abuse scandal…God must be preparing a magnificent bottom of the 9th inning! Bishop Baron does it again. 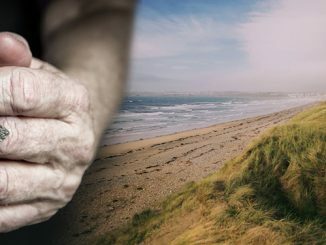 One of the best pro-life articles I’ve seen. In looking at the way the Abolitionists changed hearts and minds, it occurs to me that they relentlessly kept the focus on the victims, telling their stories and showing their humanity and suffering. We are the New Abolitionists, and ‘Unplanned’ is about babies and moms who are victims in every abortion. Even if you’re pro-life, see the movie. My wife and I did. It’s excellent. “Lots of good and thoughtful people defend the pro-choice position.” I have a problem with this statement. 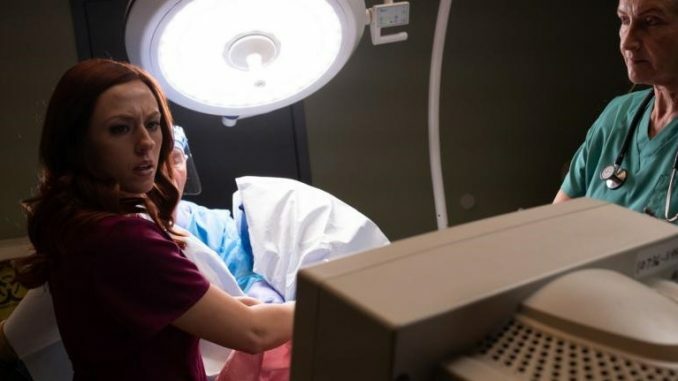 Let’s reword it thinking of the scene in the movie “Unplanned”. Lots of good and thoughtful people defend ripping the arms and legs form unborn babies. These people are pro-abortion, not pro-choice. Any time a state passes a law to provide more information to a woman, they fight it tooth and nail. Also, pro-choice is the term of choice of the pro-abortionists. Whenever you let your opponent pick the terms of the debate, you are on your way to loosing. You said that there will come a time when only the insane will defend abortion. But that time is now. Only the insane defends abortion. You have to be to do so. But of course, they are very good at masquerading to be sane. Thank you, Bishop Barron for your always insightful comments. Now is the perfect time for such a film and this film does the job. Even I was squeamish with I saw it! I have always resented the title “pro-choice”. They are actually “pro-death” and this film brings that out! I am waiting for the abortion industry and so-called women’s rights groups to try and stop the showing of the film but the word, by the grace of God, as come out. Praise be God now and forever! Bishop Barron, the Church needs your help on the scandal issue. Please help us with a coalition of like-minded clergy and lay people to pressure Rome for answers! Life begins at conception. That which is conceived is at that point too small to be visible even to the most powerful microscopes in the world, but – from the very moment of conception – it begins to grow. And if it’s growing – it’s ALIVE. Abortion is murder – there is really no other way to describe it. No matter how many layers its defenders put between their actions and what actually happens – the willful ending of a human life – there is no other word adequate for it. Al d………….You are correct. Bishop Robert Barron DOES need to get more involved in the current sexual scandal facing the Church. He has influence and can present the correct side in an insightful and respectful way. His influence MUST be used to be benefit of those needing a voice. Sometimes I wish he was never made a bishop. I believe would have more flexible in the causes he chooses to support. I believe, however, he will respond! Let us all pray that this is the case! For the Church, the issue isn’t just a matter of its obligation to boldly and consistently condemn a grave injustice that has been lethal to nearly two billion of God’s precious children worldwide in the last half-century, and that has traumatized countless women who were the victims of the most deceitful, diabolical propaganda the world has seen since Joseph Goebbels was running the Nazi Ministry of Propaganda. It is much more than that, as grave and as urgent as just that aspect of the situation is by itself. 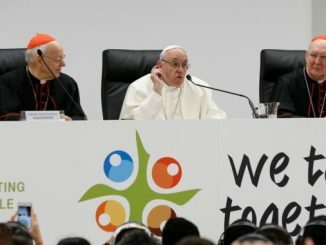 The state claiming for itself the authority to “legalize” the murder of innocent humanity by the billions is an assault on the human race universally, and a vicious attack on the very heart of the Universal Church in particular. To the extent that the Universal Church fails to respond to the most malevolent, violent assault on the human race in the history of the world in a manner commensurate with its urgency, the Church confers upon it a pseudo legitimacy that perpetuates the holocaust; it aids and abets it; it renders unto Caesar authority over innocent human life that belongs to God alone. That is blatant idolatry, which is lethal to Christianity. On a response scale of 1 to 10, where 1 is the Church signalling its approval of Caesar’s usurpation of God’s authority by its complacency, and 10 is the equivalent of Urban II calling the first Crusade in order to save Christendom from annihilation by Islamic jihad, the response required from the Universal Church to the current, ongoing, worldwide holocaust is an 11. Not that we need to wage a war with weapons, but the Universal Church is at this time obliged to call for a nonviolent, political war using the political freedom we still possess for a while longer, by God’s grace. Only a universal organization, one that God Himself has charged with the care of a humanity He loved such that He gave His only begotten Son for them, can respond adequately to the current universal, homicidal attack on the human race. The Church’s continued idolatrous complacency is a betrayal of the mission Christ gave it, and a vicious betrayal of Christ in the least of His brethren. 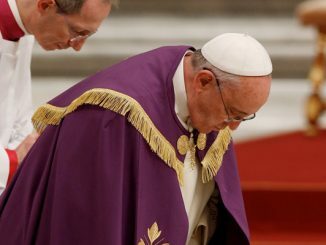 Even so, the world’s bishops, by God’s grace, kindness, and patience, can still repent and begin to respond to this assault on Christianity and humanity in a manner commensurate with its urgency. And yes, the Church will have to ignore its worldly lawyers who will start cautioning it about losing its tax exempt status. That tax exempt status paperwork will fuel the fire they burn in for eternity. Don’t join them. Bishop Barron, I respectfully — but heartily and vociferously — disagree. We do not “stand at a pivotal point” in the abortion debate. Don’t don’t look now, but that pivotal point passed us by more than 40 years ago. The new laws permitting infanticide that Democratic legislatures around the country have been pushing for and passing differ only aesthetically from the original Roe-Wade ruling. While it may be more stomach-churning to think of birthed babies being murdered, there is no difference in kind from the action of the drug RU-486 administered in the first month or two after conception. To our eternal shame, our Church leaders — along with we, the faithful — have acclimatized ourselves to this murderous, but grotesquely obvious, reality for all that time. I have no doubt that we will be able to avert our gaze once again if need be to preserve our comforts and our positions in this once great — now grown hideous and predatory — country. ‘Unplanned’, as effective as it is in advocating to the masses, changes nothing. It adds no new information to the debate. If Church leaders and we faithful Catholics require such dramatic reminders to follow the natural laws and our Church’s teachings, then shame on us. I was the only person in the theater when I saw the movie yesterday, and when that happens theater owners don’t keep the movie around long. I would fervently hope that it will come out on DVD soon, but people need to see it full screen. In 2001 a bill was introduced in the Illinois State Senate making it mandatory to provide medical help to any child who had the temerity to survive an abortion. It was defeated. The same happened in 2002. On both occasions State Senator Barack Obama was instrumental in defeating the bill. In 2003 he and others kept the same bill from even reaching the Senate.